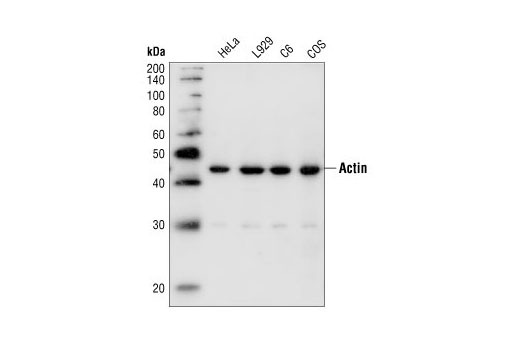 Western blot analysis of extracts from HeLa, L929, C6 and COS cells, using Pan-Actin Antibody. 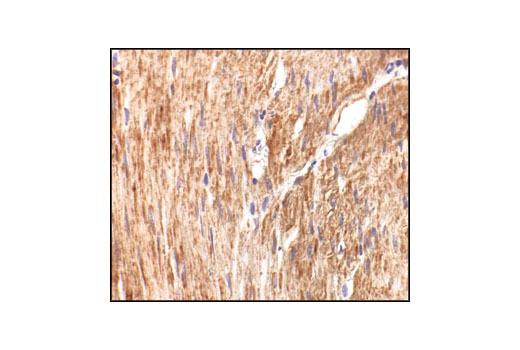 Immunohistochemical analysis of paraffin-embedded human colon (smooth muscle), using Pan-Actin Antibody. 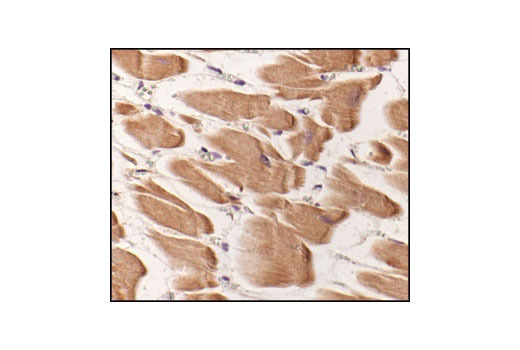 Immunohistochemical analysis of paraffin-embedded human heart, using Pan-Actin Antibody. 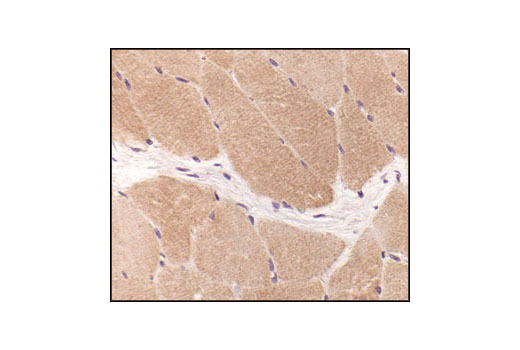 Immunohistochemical analysis of paraffin-embedded human skeletal muscle, using Pan-Actin Antibody. 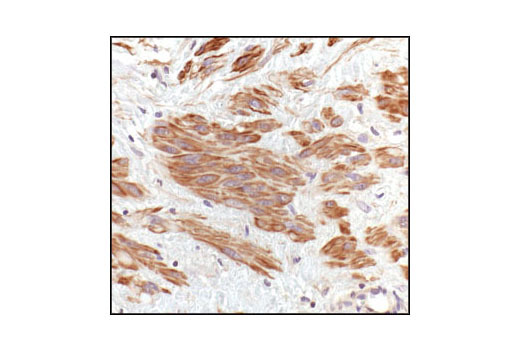 Immunohistochemical analysis of paraffin-embedded human leiomyoma, using Pan-Actin Antibody. Pan-Actin Antibody detects endogenous levels of total actin (all isoforms). The antibody also detects the 30 kDa actin fragment cleaved at glutamate 107. Polyclonal antibodies are produced by immunizing animals with a synthetic peptide corresponding to residues surrounding Asp244 of human beta-actin. Antibodies are purified by protein A and peptide affinity chromatography.